Transform your bathroom into a functional space with the Alice Junior basin. It boasts of an elegantly rounded design and can be used both as a shroud or pedestal basin. 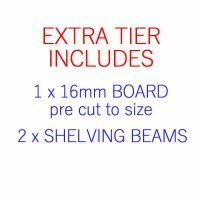 It is ideally suited for installation in small to medium sized bathrooms. The Alice Junior measures 415x450mm in dimensions and is designed to offer easy installation in any bathroom. It includes a single tap hole and a standard overflow. It is a stylish and compact bathroom basin which comes equipped with wall brackets. The wall brackets are well concealed behind the basin, allowing for a plush and neat installation. 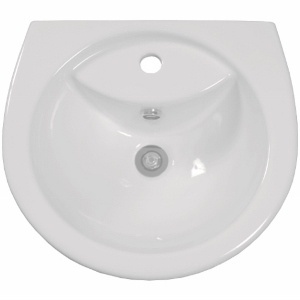 This bathroom basin is manufactured to the highest standards of quality with top grade vitreous china. It is durable and sturdy and will easily withstand the rigors of everyday bathroom usage. The Alice Junior can be accessorised with a chrome adjustable bottle trap, pedestal or shroud. These additional accessories need to be purchased separately. To add functionality and style to your bathroom at a budget-friendly price, choose the Alice Junior basin. Buy this bathroom basin in Perth at an affordable price from our online store today and avail of free delivery across Perth Metro!